We have this weekly blog challenge at work and the theme for this week is something local. For the past weeks, a perya (a carnival, loosely translated) has been visiting our sleepy little town. 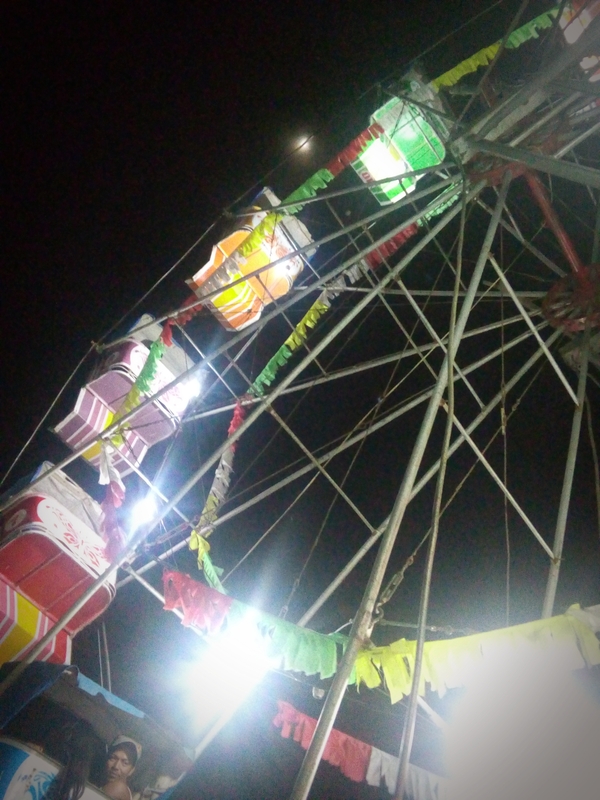 I grew up with the almost contant visits of the fleeting band of lights, sounds, and rides that certain memories of my childhood have been marked by the presence of this magical and bright occurence. Carnival is a kind of syncretic, ritualised pageantry which displays a particular perspective. It is a brief moment in which life escapes its official furrows and enacts utopian freedom.